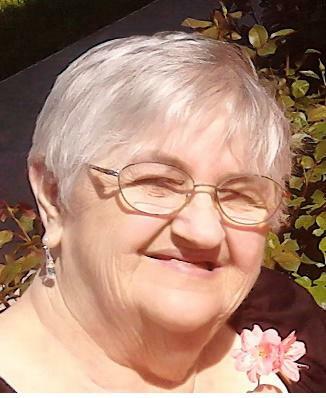 OSWEGO, NY – Anita Louise Miuccio, 83, passed away on Tuesday November 11, 2014, in Winchester, Virginia. Anita was the wife of the late John Miuccio Sr.
She was a devoted wife, mother, grandmother and more. She was known for her kindness, her smile and making people feel special. She loved to cook, sing, play Scrabble, do crossword puzzles, create crafts and knit for her family. If you were fortunate to have known her, then you probably shared some of the best Italian food prepared by her loving hands. Her best times were when she was surrounded by family and friends, telling stories, sharing memories and of course, cooking up a storm. Anita spent most of her life living in Oswego, NY, but has resided in Loudoun County Virginia since 2002. Anita leaves to cherish her memory eight children – Martha Czirr of Oswego, Cathy Gunther of Oswego, Joanne Murabito (Mike) of Montgomery Village, Md., John Miuccio of Sterling, Va., Anita Baker (Steve) of Martinsburg, W.Va., Marylynn Jones of Sterling, Va., Joseph Miuccio (Anne) of Oswego and James Miuccio of Oswego; two sisters, Rose Friscia and Judith Testa; one brother, Peter Gambino; 23 grandchildren; 28 great-grandchildren; and two great-great-grandchildren. Anita was predeceased by her parents, Joseph and Martha Gambino; husband, John Miuccio Sr.; daughter, Teresa Pachan (Mike); grandson, Cortland Jones; great-granddaughter, Alexandra Rowland. A memorial service will be at Dowdle Funeral home on Saturday November 22, at 1 p.m. for visitation and 2 p.m. service followed by a gathering at the Hibernians for fellowship and food.